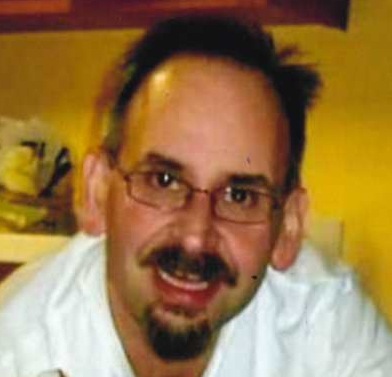 Paul L. Gorman, 53, of Vanderbilt, passed away on April 13, 2019, in Gaylord, Michigan. Paul is survived by his four children; Kyle Gorman, Ryan Gorman, Alexandria Gorman, and Jeremy Gorman; parents, Paul E. Gorman, and Karen (Bressette) Gorman; many Aunts, Uncles and Cousins in the United States and Canada. A Mass of Christian Burial will be held on Wednesday, April 17, 2019 at 11:00 a.m. from St. Mary Cathedral. The family will receive friends at St. Mary Cathedral, on Wednesday, April 17, 2019 beginning at 10:00 a.m.
Memorial contributions may be made to the Northland Sportsmen’s Club. I was deeply saddened to hear of my dear cousins passing; his time on this earth was too short. May God bless and be with his family at this most difficult time. He will be greatly missed! Words escape me cuz. You left us too soon & my heart is broken into pieces. I’m glad you’re out of pain. Please God welcome Paul into your loving arms. We will see you when we get there. Love you man! My siblings, Heather and Chid and I, use to play with our cousin Paul when we were kids. I remember Paul liked playing with a little toy boat along the lakeshore. One day we were up to our knees in the water….good times back then…RIP Paul. A very sweet person. My deepest sympathy to all of his family. Karen, my heart hurts for you and your family. My condolences. Someone once told me that for every tearful goodbye, there is a joyous welcome home on the other side. My thoughts are with you. Dear Karen my deepest condolences for you and your family! May the Lord Bless you and hold! you in the palm of his hand love you Karen! While the loss of a loved one is never easy, even when anticipated, it is most certainly the hardest when they are taken from us too soon. Words cannot describe the pain of a child preceding the death of a parent. We are so sorry for the terrible loss your son, our nephew and cousin Paul. You are in our thoughts and prayers. Our deepest condolences. May the memories of Paul and the love of your family surround you and give you strength and peace in the days ahead. If there is anything we can do to support you please do not hesitate to call us. Karen, the flags are down in Kettle Point for Paul. Sorry for your Loss, My deepest sympathy to all of his family., Paul will be missed. So sad for you Ryan – son of Paul, your father. May he rest in peace. May you all gain strength from your faith. Sandy and I will add prayers for your family’s comfort. God Bless you. On behalf of Kari Jo and all of the Stefanski boys we are deeply saddened by your loss. Our thoughts and prayers are with you and your family in your time of sorrow. My prayers are sent for all of Paul’s family. Paul, Rest In Peace as your time has come. You have done well for the family. I was very honored to have worked with you and your families insurance needs at State Farm.